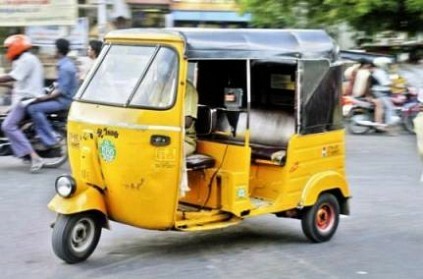 In a shocking case from Chennai's Tambaram area, an old woman aged 70, was conned of her two sovereign jewellery by an autorickshaw driver, who promised to get her old age pension in the revenue office by using his contacts. According to Times of India (ToI), Saroja, had visited a nationalised bank to inquire about a loan. After coming out of the bank, she met an autorickshaw driver, who promised to get her old age pension as he knew few officials in the revenue department. Without much doubt and time, the old woman followed him. He took her to a restaurant and asked her to get a passport photo from a photo studio. He also convinced her to remove her gold jewellery as the officials might see the chain in the photo and would cancel the pension. To which the old woman fell a prey!! So before leaving to the studio, the woman handed over the chain to him and left. To her surprise, when she returned the autorickshaw driver was no where to be found. A case has been registered in Tambaram police station and further investigations are on. This page contains news relating to various facts and events. The views are generally about current affiars and general topics in diversified areas such as political, international, national, and regional issues, sports, health, travel, lifestyle, technology and business. People having similar interets on the above topics will find this page useful. Chennai autorickshaw driver cons old woman of gold jewellery | Tamil Nadu News.